Britt Gayle, MD is family medicine specialist and sees patients at the Family Health Center. Dr. Gayle is a graduate of the Emory University School of Medicine and completed his family medicine residency program at UPMC McKeesport Hospital, where he focused on both global health research initiatives and HIV primary care. In addition to his clinical and research experience, Dr. Gayle has also contributed to the advancement of healthcare from a leadership and advocacy standpoint. Most recently, he served as a government and practice advocacy representative for the Pennsylvania Academy of Family Physicians. 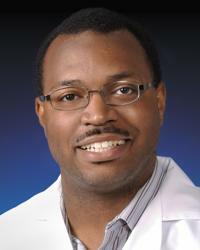 Throughout his training, Dr. Gayle has also held intern, teaching assistant, mentor, tutoring and peer review roles. Dr. Gayle is a member of the American Academy of Family Physicians.